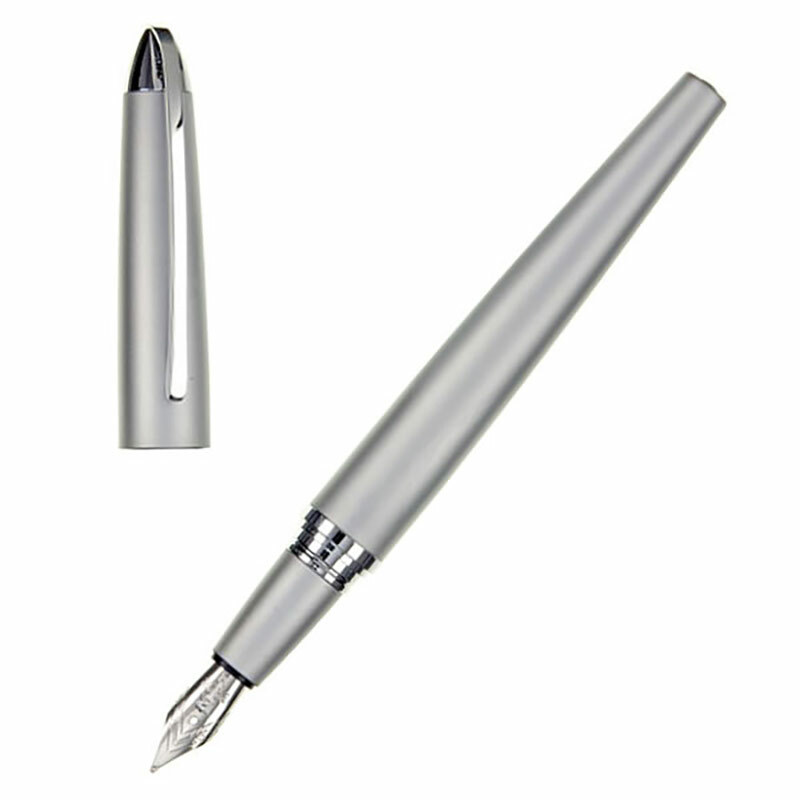 These gorgeous fountain pens feature a matt silver plated body with chrome plated fittings. They make outstanding presentation items, for instance as corporate gifts or as branded merchandise, for wide of occasions or achievements. Each pen is supplied with an attractive aluminum presentation case and they are offered with free text and logo engraving of the case. These fine quality silver and chrome fountain pens have an iridium nib and are supplied with one blue ink cartridge.